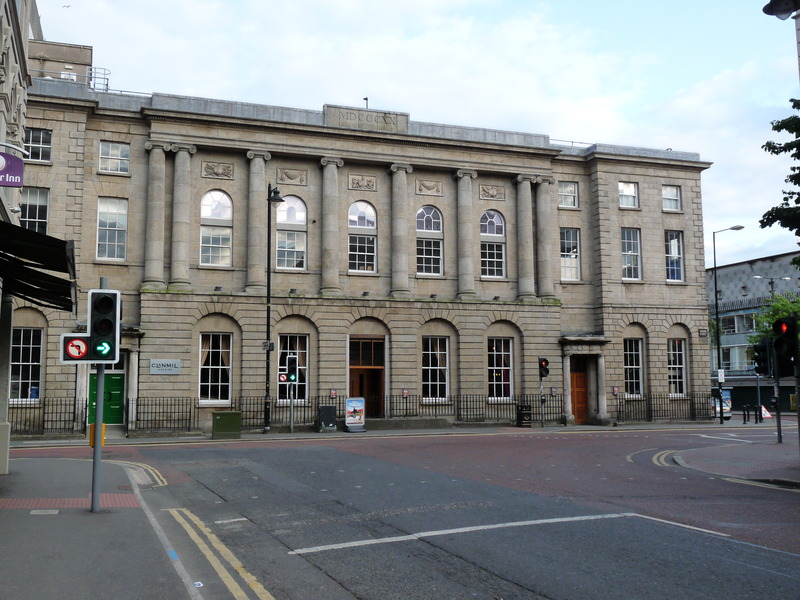 Northern Whig House (formerly Commercial Buildings) is a three-storey building designed by John McCutcheon at the corner of Waring Street and Bridge Street (replacing a row of two-storey thatched cottages). The foundation stone of the building was laid on St. Patrick’s Day 1819 by the 2nd Marquis of Donegall and work was completed by 1st November 1820 at a cost of £20,000. 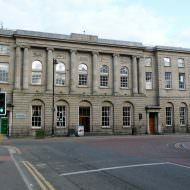 The building comprised a hotel, newsroom, assembly room, central piazza, and commercial offices. 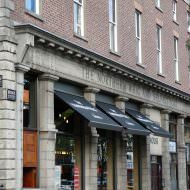 The Northern Whig Newspaper acquired the building in 1919 and carried out extensive alterations to the building, including the rebuilding of the Bridge Street facade in red brick. The works, overseen by Thomas William Henry, involved the provision of a printing works and related office space and were completed by 1923. As a result of a Luftwaffe bomb and subsequent fire during the May 1941 Belfast Blitz, the building was left severely damaged. 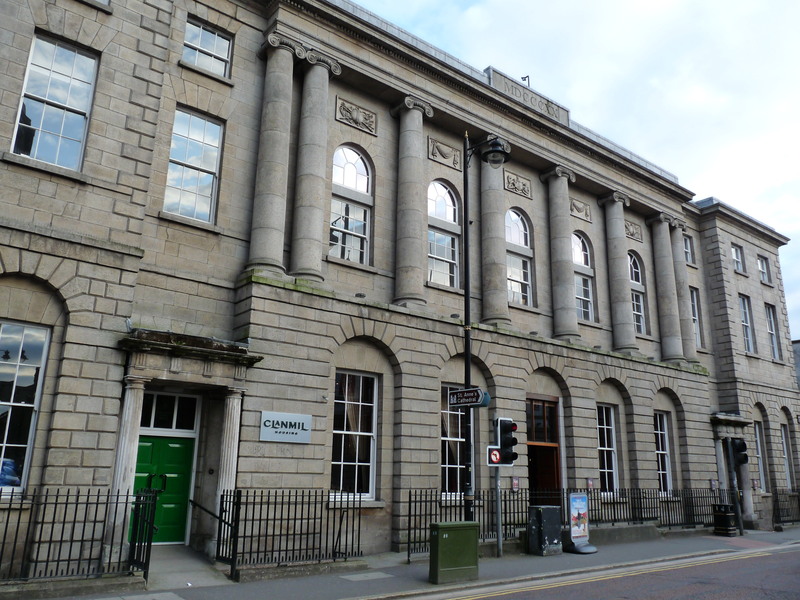 The Northern Whig relocated to temporary offices within the Belfast Telegraph’s building at Royal Avenue and following the end of the Second World War the building was restored. The Bridge Street facade was reconstructed and new shop fronts were inserted at ground floor. The last of the rebuilding works were completed by 1959. 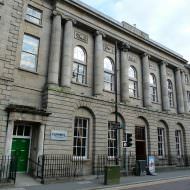 The Northern Whig left the building in 1963 when production of the newspaper ceased and in 1965 the Glencairn Trust converted the building for commercial office use. The building was B1 listed (HB26/50/060) in November 1975. Clanmil Housing Association acquired the building in 1997 and between 1999 – 2000 carried out a £1.2m refurbishment of the upper floors to provide office accommodation. The works were carried out by RMI Architects and Henry Brothers Ltd contractors. 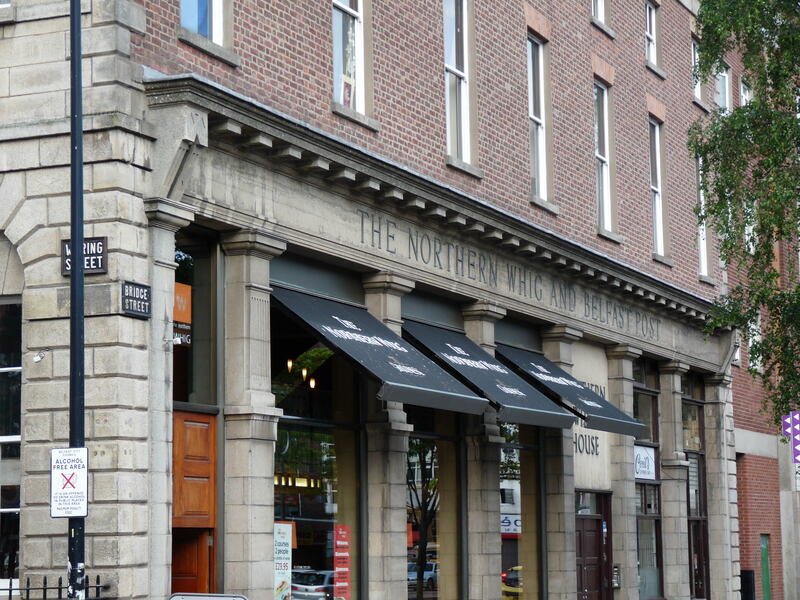 Also in 1997, Botanic Inns opened a ground floor licensed restaurant and bar (The Northern Whig).